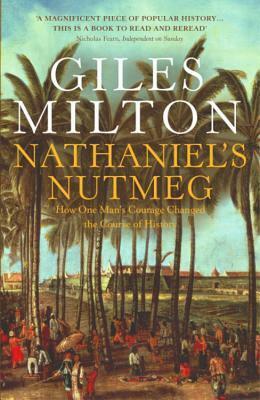 In a similar vein to Dava Sobel’s Longitude, Nathaniel’s Nutmeg revolves around the story of one of history’s largely invisible protagonists. Whilst this isn’t history on the same scale, it sits very nicely with something E. P. Thompson said, about rescuing characters “from the enormous condescension of posterity.” The major characters in this book will be unknown to most people, as will most of the events, but their importance for the modern world will be clear to everyman. The book’s title is, however, a complete misnomer. The subject matter is very ambitious, dealing with the spice trade and the age of navigation, including forays in the Americas, attempts to find passages to the Indies via the Arctic Ocean, and all of the misadventures, wars, successes and political intrigues of the English and Dutch East India companies. Ultimately, Milton’s premise with the book is to tie the exploits of the English East India Company officer Nathaniel Courthope in with the fate of New Amsterdam/New York, but by trying to cover this from all angles, the book is left feeling rather thin and superficial. In the end, the titular Nathaniel makes only a relatively brief appearance near the end of the book, all the space that was left to deal with the book’s allegedly main focus. Finally, with such a broad range, the book throws up many interesting questions about the companies, their officers, the spice trade etc., most of which remain unfortunately unanswered, despite its near 400 pages. Despite these setbacks, the book does have its strengths. It is clearly very well researched, and despite the relative paucity of sources available to fill in the gaps, the author avoids the obvious temptation to speculate wildly. As a piece of decidedly ‘popular’ history, the book is structured like a page-turner, with hints and references dropped to tease the reader into the coming chapters, focusing on a history driven by characters and concrete events, which makes it an easy book for reading on the go or with other distractions. And although the subject matter is really too broad for a book of this size, Milton does at least concentrate solely on the Dutch and English adventures, paying relatively little attention to Portuguese and Spanish goings on at the same time. Nathaniel’s Nutmeg is a pleasant and interesting diversion, particularly for people whose interest would not normally be piqued the idea by a history book. It is clear that a good deal of research has gone into the book, and the breadth of the subject matter makes this no light task. Yet the impression left is one akin to scoffing fast food empty calories; in order to tie Couthorpe to New York, the author has chosen too broad a subject matter for so short a book, leaving the text too shallow and unfocused. A different title, a less ambitious aim, or a more vigilant editor, and this book could have been an all the more satisfying read.